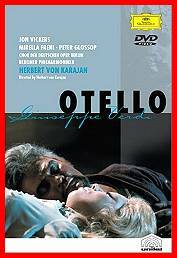 Scheda: Nazione: USA - Soggetto: dall'omonima tragedia di William Shakespeare e dall'Otello di Giuseppe Verdi (libretto di Arrigo Boito) - Musiche: Giuseppe Verdi - Formato: Color, film tv - Durata: 145'. Cast: Licia Albanese, Ramón Vinay, Leonard Warren. Plot Summary, Synopsis, Review: IMDb: «The first live telecast of an entire opera from the stage of the old Metropolitan Opera House (1883-1966)». Scheda: Nazione: GB - Produzione: BBC (British Broadcasting Corporation) - Distribuzione: BBC - Soggetto: dall'omonima tragedia di William Shakespeare - Formato: Color, film tv - Durata: 108'. Cast: Daphne Anderson, Betsy Blair, Rosemary Harris, Gordon Heath, Paul Rogers. 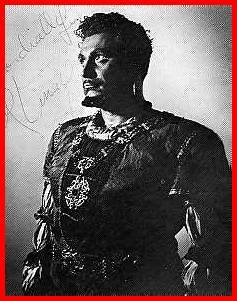 Scheda: Nazione: Germania (RFT) - Produzione: Unitel Film - Distribuzione: Deutsche Grammophon - Soggetto: dall'omonima tragedia di William Shakespeare e dall'Otello di Giuseppe Verdi (libretto di Arrigo Boito) - Fotografia: Ernst Wild - Musiche: Giuseppe Verdi - Direzione: Herbert von Karajan - Formato: Color - Durata: 142'. Cast: Jon Vickers, Mirella Freni, Peter Glossop, Stefania Malagu, Aldo Bottion, Michel Sénéchal, José van Dam, Mario Macchi. 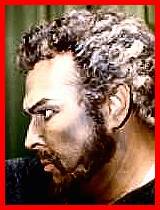 Scheda: Nazione: USA - Produzione: Bard Productions - Soggetto: dall'omonima tragedia di William Shakespeare - Formato: Color. Cast: Jenny Agutter, William Marshall, Ron Moody, Leslie Paxton. 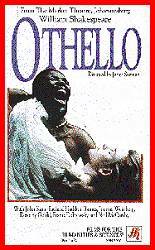 Plot Summary, Synopsis, Review: eonline.com - movies.yahoo.com - rottentomatoes.com: «Shakespeare's keen understanding of jealousy in love results in perhaps his greatest triumph as a stage play, and his prime example of the tragic hero is the obsessive Othello. This adaptation of the great play features authentic period sets and costumes from Shakespeare's own era, and...». 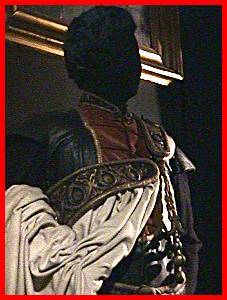 Conosciuto anche con il titolo: William Shakespeare's The Tragedy of Othello, the Moor of Venice. Scheda: Nazione: Italia - Soggetto: dall'omonima tragedia di William Shakespeare e dall'Otello di Giuseppe Verdi (libretto di Arrigo Boito) - Musiche: Giuseppe Verdi - Formato: Color, film tv - Durata: 145'. Cast: Vladimir Atlantov, Kiri Te Kanawa, Piero Cappuccilli, Flora Rafanelli, Antonio Bevacqua, Gianfranco Manganotti, Orazio Mori. Scheda: Nazione: GB - Produzione: Focus Films Productions Ltd. - Soggetto: dall'omonima tragedia di William Shakespeare - Fotografia: Dewald Aukema - Montaggio: Revel Fox - Musiche: Joan Oakley-Smith - Formato: Color, film tv - Durata: 187'. Cast: John Kani, Joanna Weinberg, Richard Haddon Haines. Scheda: Nazione: USA - Produzione: ABT, San Francisco Ballet, Lar Lubovitch Dance Company - Distribuzione: Kultur - Soggetto: dall'omonima tragedia di William Shakespeare - Direttore artistico: Helgi Tomasson - Formato: Color. Cast: Desmond Richardson, Yuan Yuan Tan, Parrish Maynard, Katita Waldo, Gonzalo Garcia, Lorena Feijoo. 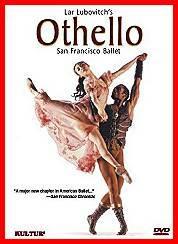 Plot Summary, Synopsis, Review: movbuy.com: «One of the most thrilling chapters in San Francisco Ballet's history is back in all its glory. Lar Lubovitch's Othello, with a commissioned score by Academy Award winner Eliot Goldenthal, will be broadcast tonight on PBS' Great Performances and has just been released...».